The UDL framework is based around individual variability. It can be seen across all three principles (representation, action and expression, and engagement), and there are many sources for this. In this revision we tried to emphasize variability where ever we could. Before you distribute Chromebooks to your users, you must enroll each device to associate it with your domain and the organizational policies you define. Important: You must enroll each Chromebook before any user signs in to the Chromebook, including you as the administrator. This week we have special guest Jon Rettinger of TechnoBuffalo. The two square off in a battle of iOS vs Android. Who wins? And Why? 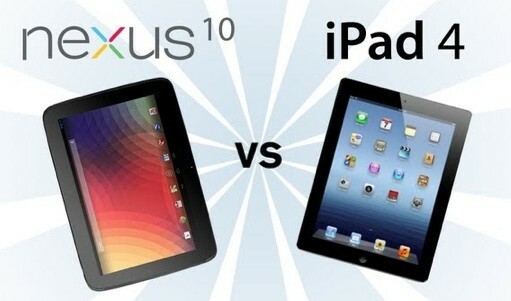 On today's Tech Battlefield, we're putting 2 tablets to the test: the Nexus 7 vs. the New iPad Mini. We're comparing the design, display, internals, camera, OS, applications, and price of both devices. Come find out which tablet comes out on top, and which you may want to buy! Do you agree with the winner? Leave a comment below and tell us why! State Superintendent Mike Flanagan shares his thoughts on keeping the enthusiasm of teaching and learning alive in our schools. Honoring the work of teachers and giving state legislators the opportunity to move Michigan forward with thoughtful and progressive education reforms will foster good will and great schools for our state. 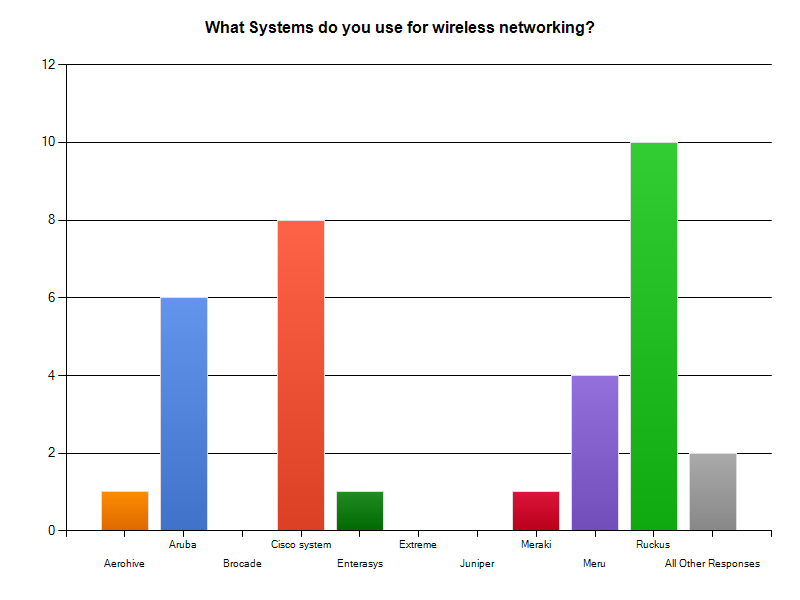 * What trends in education are driving Wi-Fi adoption? * How does Ruckus address the high-density challenge? * What's the benefit of getting the Wi-Fi controller out of the data plane? * How can Ruckus handle video better than other Wi-Fi solutions? * What's the Ruckus value proposition to an educational organization? Ruckus Comes out on top in this independent study. Nexus 10 vs iPad 4: Hands on Review & Comparison of Price, Specs & Features. Apple or Google? iOS 6 or Android Jelly Bean 4.2? So many questions to ask yourself if you're looking to buy a 10-inch tablet. We've gone through the screen quality, processing speeds and connectivity options to (hopefully) help you decide which tablet is best for you. DeVry University Professor Bob Bunge consults with cyber security experts to understand the current demands they face, and to better prepare his students to enter the growing field after graduation. This is an introduction to the book '30 Arduino Projects for the Evil Genius' by Simon Monk. Fritzing is an open-source initiative to support designers, artists, researchers and hobbyists to take the step from physical prototyping to actual product. We are creating this software in the spirit of Processing and Arduino, developing a tool that allows users to document their Arduino and other electronic-based prototypes, share them with others, teach electronics in a classroom, and to create a pcb layout for manufacturing. 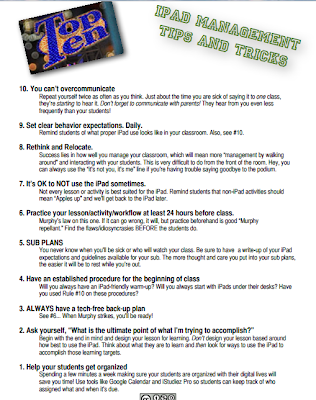 KEEP UP WITH TECHNOLOGY...JOIN MACUL TODAY!!!!!! Keep up with the ever changing world of educational technology. Membership in MACUL provides you with four issues of the MACUL Journal every year. Each issue is focused on a theme, such as handheld computing, NETS Standards, online learning, and more. You also receive email updates and communications about the latest and greatest ways to integrate technology in teaching, learning and leading. MACUL members are able to network with fellow educators across Michigan and the Midwest who share an interest in educational technology., Special Interest Groups, Listservs and special events offer opportunities to learn from others. MACUL also supports the membership through annually honoring our Teacher and Educator and Technology Coordinator of the Year. Your MACUL membership also qualifies you to receive discount rates for online courses from MyEdConnect, as well as discounted membership in the International Society for Technology in Education (ISTE), connecting you with technology using educators across the world. 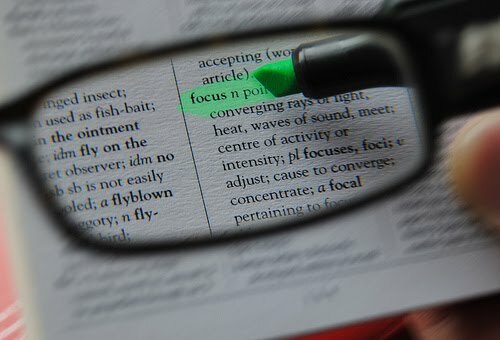 MACUL members are always the first to hear about special workshops, grants, and other news that might take weeks to filter down through the information chain in your district. Through affiliation with ISTE, MACUL members are able to learn about how initiatives in Washington D.C. impact on Michigan classrooms. MACUL members get the jump on signing up for state-wide opportunities for professional development managed by our organization. The MI-Champions program and the ATA Technology Academy offers workshops throughout Michigan and has trained thousands of educators to better use technology to improve student learning. MACUL members can take advantage of many professional development opportunities, such as one of the Midwest's largest educational technology event, the annual MACUL conference. Special Interest Group workshops, held in various locations around the state, also offers in-depth training on a multitude of ed tech topics. Other MACUL conferences include the technology leaders conference, and the Upper Peninsula MACUL conference. Through the MACUL Grant program, MACUL members are eligible to apply for funding of projects demonstrating innovative uses of technology. These grants are offered only to MACUL members! The MACUL web site, www.macul.org, provides MACUL members with links to locate a wealth of valuable resources for educators. 6. Membership is FREE! KEEP UP WITH TECHNOLOGY...JOIN MACUL TODAY!!!!!! In this video, you meet the students and teachers of City Arts and Technology (CAT). The high school experience at CAT is entirely focused on supporting students so they can be successful in college, career and life. Staff and students alike are very focused on creating an understanding, a culture, and an expectation of college-going. At the heart of the school's approach to teaching and learning is the school's unique deeper learning assessment system. CAT's student assessment requires students to demonstrate mastery not only in academic content knowledge but also in those key competencies mentioned above—the same competencies that researchers, education leaders and business leaders say are essential for the twenty-first-century global workforce. Pay close attention to the part of the video that focuses on the graduation portfolio. CAT opened in 2004 and is a thriving hub of project --based learning, rigorous standards, student and teacher collaboration, and community engagement. The building is literally humming with activity. The student population is 60 percent students of color, 57 percent first generation college bound, 51 percent free or reduced lunch, and 6 percent English Language Learners. Situated atop a hill in a tidy working class San Francisco neighborhood, it fits just perfectly....exactly what a neighborhood high school should be. CAT is part of a small network of schools called Envision Schools. Envision is a charter management company based in Oakland that operates four college prep public charter schools. In total, these four high schools serve 1,300 students. Sixty-one percent of all Envision students are what they call "First Generation College Bound." Envisions is proud to share that 95 percent of their 2008 graduates were admitted to college and have stayed in college—a very important distinction considering that less than 60 percent of all students who enroll in college earn a bachelor's degree within six years per the U.S. Department of Education. "Going Google" is a new way to talk, share, work and get things done together using products like Gmail, Google documents, and Google Drive. For more information, check us out at http://edevolution.wordpress.com. Special thanks to StrangeZero for their music, and to our parents, friends, teachers, and principals who helped make this project a success! Using the iPad to teach the math concept "before"
This is an overview of a classroom literacy project where students used iPads to create their own Digital Documentary. PBS has over the years brought learning alive here is an example of the power of learning with video. We all learned about Galileo in school but wouldn't this have made it more interesting. This talk is taken from the 21st Century Challenge event 'Digital Technology in Africa' -- exploring whether the internet, mobile phones and laptops can offer the countries of Africa realistic educational and economic opportunities? Professor Nicholas Negroponte is Founder and Chairman of the One Laptop Per Child non-profit association. He is currently on leave from MIT, where he was co-founder and director of the MIT Media Laboratory, and the Jerome B. Wiesner Professor of Media Technology. He is also author of the 1995 best seller, Being Digital, which has been translated into more than 40 languages. This video is available under a Creative Commons Attribution-NonCommercial-NoDerivs license, which allows you to download and share it as long as it is credited, but you cannot change it in any way or use it commercially. Nicholas Negroponte is the founder of the The One Laptop per Child (OLPC) project, which is one of the most ambitious educational reform initiatives the world has ever seen; with the mission "to create educational opportunities for the world's poorest children by providing each child with a rugged, low-cost, low-power, connected laptop with content and software designed for collaborative, joyful, self-empowered learning. He is also well-known as the founder of the MediaLab at MIT, the Wired columns and after his bestseller Being Digital. Few people question that education is the most critical problem for the world to solve - both in the developed and in the developing worlds. The temptation is to see this as purely as a policy question and not as a technology challenge. What if you just asserted it was possible for a device to be smart enough, cheap enough, rugged enough, and connected enough that it could be dropped into any village square and could not only teach children how to read, but teach them how to learn and inspire them that learning was fun. What would that take? Nicholas Negroponte founded the MIT Media Lab (1980), WiReD Magazine (1990), and One Laptop per Child. Nicholas has recently launched a reading experiment to learn whether poor and remote kids (5-10 years old) can learn to read on their own with a solar powered, Android tablet suitably loaded with immersive and constructionist material. About this talk: Did you ever wonder why science, math and physics are taught as separate classes instead of one integrated subject? It's because our ancestors had to teach from printed books and couldn't fit all the information in one tome, James Bower says. We don't have those constraints today, and Bower argues that it's time to ditch the books in favor of the Internet and computers, which offer a more robust, interactive type of learning. 2nd installment of the BioDigital Human Introduction series. Fly through human organs with your mouse. View the body structure intersections from any conceivable perspective. Cross-section by three anatomical planes, dissect down to the neuron and isolate any single structure in the human body. Then share, bookmark and print your location! The BioDigital Human includes education, navigation, reference and save/share tools to allow medical students, healthcare practitioners and manufacturer sales reps access 3D data visualization of the human body. Over the shoulder demo for Personal Math Trainer, $20 for Nintendo DS. Brace yourselves, Furby is back and ready to amaze and entertain with a mind of its own! The more you play with Furby, the more its personality will be shaped by these experiences! Groom your Furby into being the best companion they can be! Buy it here http://www.tesco.com/direct/x/751-5072.prd? Your little one can get interactive with the VTech Innotab 2 and enjoy the educational games, fun activities and eBooks that this multimedia learning touchscreen tablet offers. The Innotab helps to develop all-important core skills in reading, spelling, maths, logic and creativity with fun activities and access to an e-reader, video player and photo viewer. What's more, parents can download additional games and learning apps from the VTech Learning Lodge Navigator site through their PC. Buy it here http://www.tesco.com/direct/x/440-6590.prd? Children starting school in Georgia this year have another reason to be excited. They are receiving computers they can take home with them.At a public school in the Georgian capital of Tbilisi children are receiving netbook computers. Educational officials say the children will learn more and develop better computer skills if they can bring the technology home.The hope is that computer technology will become second nature to these children.The Georgian government is paying for the project. It has spent about 5.5 million dollars on 50,000 Georgian-made netbooks. The computers are being made in an Algorithm computer factory based in the capital.But the netbook computers are only part of the education upgrade. Georgia is also offering what it calls "future classes." They have been opened in 80 schools around the country. These classes are fully equipped with modern technology. There are no pens, pencils or note books.Future classes use interactive smartboards and monitors instead. So students learn and study using this up-to-date technology. Students also can study the electronic version of past lessons without going back through stacks of papers. All "Future classes" are connected to each other digitally so students can compare work and chat about the subjects they study. The deputy minister for education says the netbooks are not meant to replace school books. She says they just want to give children an up-to-date and relevant education. And she adds that schools need to prepare children for modern-day challenges, by exposing them to modern-day technologies.For VOA Learning English, I'm Laurel Bowman. This link talks about how educators comunicate with Email to parents. It offers some sugestion on making student learning into a positive conversation through Email. Dennis Littky is the co-founder and co-director of Big Picture Learning and the Met Center in Providence. He is nationally known for his extensive work in secondary education in urban, suburban, and rural settings, spanning over 40 years. As an educator, Dennis has a reputation for working up against the edge of convention and out of the box, turning tradition on its head and delivering concrete results. calculator@desmos.com or tweet us @Desmos. Henry Jenkins joins USC from the Massachusetts Institute of Technology, where he was Peter de Florez Professor in the Humanities. He directed MITs Comparative Media Studies graduate degree program from 1993-2009, setting an innovative research agenda during a time of fundamental change in communication, journalism and entertainment. As one of the first media scholars to chart the changing role of the audience in an environment of increasingly pervasive digital content, Jenkins has been at the forefront of understanding the effects of participatory media on society, politics and culture. His research gives key insights to the success of social-networking Web sites, networked computer games, online fan communities and other advocacy organizations, and emerging news media outlets. Chris Lehmann introduces a revolutionary idea in education: Encourage learning by allowing students to do things they are good at instead of restricting them. While that may sound elementary, Lehmann's speech carves out an innovative way to teach students success so they will strive for success in the post-graduate world. Hailing from Manhattan, Chris Lehmann is breathing fresh air into the Philadelphia School District by providing immediate feedback to teachers using an iPad, asking teachers to practice kindness in the classroom, and promoting a student-centered school. In the spirit of ideas worth spreading, TED has created a program called TEDx. TEDx is a program of local, self-organized events that bring people together to share a TED-like experience. Our event is called TEDxPhilly, where x = independently organized TED event. At our TEDxPhilly event, TEDTalks video and live speakers will combine to spark deep discussion and connection in a small group. The TED Conference provides general guidance for the TEDx program, but individual TEDx events, including ours, are self-organized. 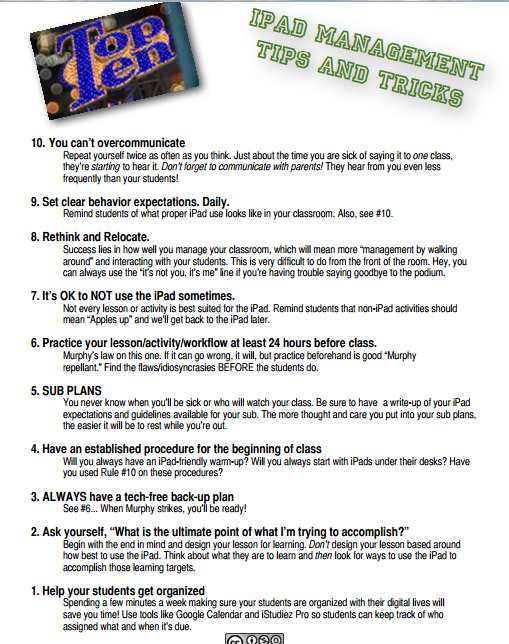 Flipped Classroom why should I try it. Today, Emily and I took a trip from Michigan State to the Michigan Google Conference. The sessions we attended were geared to inspire and excite educators with new ways to incorporate web-based technologies into the classroom to engage students with active learning. 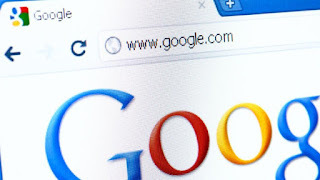 They included workshops on Google products such as Docs, Sites, Calendar, Blogger, Plus, Hangouts on air, as well as deeper sessions for more experienced users. Sessions on the management and technical deployment of Google Apps for Education were also available. Hope to see you there next year! Google now stand ready to upstage the iPad in education with the release of the google tablet that has the true ability to have multiple users on one device. If your district doesn't have the funds to go to a one to one learning device then there are huge short comings in the Apple iPads. The Nexus and the newest version of the operating system, they have added support for multiple users (for tablets only), with individual home screens backgrounds, widgets, and apps. Devices running 4.2 will also be able to share their screens wirelessly with any HDMI-enabled television with a wireless adapter. Google will release the Nexus 4, Nexus 10, and an updated version of the Nexus 7 November 13. All three devices will run on Android 4.2. Designed in collaboration with LG, the Nexus 4 features a 4.7-inch 1,280 x 768 touch screen, a Qualcomm Snapdragon S4 Pro processor, and 2 GB of RAM. So Not only can you get all this in a tablet but you can get it in a smart phone version.The newest Google smartphone also sports wireless charging, an 8-megapixel main camera and a 1.3-MP front facing camera, GSM/HSPA+ compatibility, and near field communication connectivity (NFC or Android Beam), which allows users to share media and information by touching the backs of their devices together. WiFi 802.11 b/g/n, Bluetooth, and NFC wireless connectivity, and 2 GB of RAM. The 7-inch Nexus 7, originally released in July, is now available in 16- and 32-GB versions, as well as a third option, which combines 32 GB of storage and cell phone capability. All the new devices will run on Android 4.2, a new version of Jelly Bean announced in conjunction with the phones and tablets. The newest version of the operating system adds support for multiple users (for tablets only), with individual homescreens, backgrounds, widgets, and apps. Devices running 4.2 will also be able to share their screens wirelessly with any HDMI-enabled television with a wireless adapter. The ability to create "photo spheres," which are similar to panorama pictures, An improved keyboard that allows users to slide their fingers across the keyboard rather than pecking at each letter, Improved dictionaries and text-to-speech capabilities, and Google Now, a service designed to anticipate useful information and deliver it to your device automatically. This piece includes his short film on Gratitude and Happiness. Brother David Steindl-Rast's spoken words, Gary Malkin's musical compositions and Louie's cinematography make this a stunningly beautiful piece, reminding us of the precious gift of life, and the beauty all around us. As a visual artist, Louie has created some of the most iconic and memorable film moments of our time. He is an innovator in the world of time-lapse, nature, aerial and "slice-of-life" photography - the only cinematographer in the world who has literally been shooting 24 hours a day, 7 days a week continuously for more than 30 years. In 2004, BlackLight Films completed production of the theatrical feature film, America's Heart &Soul, distributed theatrically by Walt Disney Pictures. In 2006, BlackLight Films completed a series of HD shorts, Louie Films, for the launch of Buena Vista Home Entertainment's Blu-Ray DVD releases. In 2007, the company produced a 1-hour special, Chasing the Light, which aired nationally on PBS. Past projects include the 35mm film Seasons of the Vine for Disney's California Adventure Theme Park and a 26-half hour series, America!, for The Hallmark Channel. Louie has won two Clio Awards for Best Environmental Broadcast Spot, an Emmy nomination for Best Cinematography for the Discovery Channel Special, Oceans of Air, and the Heartland Film Festival's Truly Moving Picture Award for Walt Disney Pictures' feature film release America's Heart & Soul. Louie completed production on a feature length nature documentary, Wings of Life, to be theatrically released worldwide, under Walt Disney Pictures' new production banner, Disneynature. The film was released in France (March 2011) under the title Pollen and won the Roscar Award for Best Cinematography at the 2011 Wild Talk Africa Film Festival. We need to think different about students that struggle in traditional classrooms. They may not fit our idea of what and how a student should learn. This article from Opensource.com talks about Thomas Edison one of the great minds as a child was thought of as a slow learner and not able to learn. We know now that he just thought different then most people. In a book wrote by Thom Hartmann called, "The Edison Gene" he says, "that people like Thomas Edison may hold immense value to human evolution and possibly the key to survival of the human species due to their open mind and creativity, despite symptoms or a diagnosis of ADHD. Instinctively Nancy Edison knew that her son had tremendous potential and that his creativity and inventions had immense value. She encouraged her son to learn by doing. And she never considered her son's hearing impairment to be a barrier either." Here is a listing of the top 20 most popular LMS system with Edmodo moving up the list quickly. Blackboard was the system of choice till Moodle showed up. Can I take home this book? CFY and PowerMyLearning: Powering a New Generation of Learning. A brief presentation of Moodle, an open source learning management system (www.moodle.org). Dr. Bernie Dodge, professor of Educational Technology (http://coe.sdsu.edu/edtec/) at San Diego State University, describes what makes for a good WebQuest, and how to avoid common pitfalls. A must see for any teacher or instructor designing and building WebQuests for their students. Dr. Bernie Dodge, professor of Educational Technology (http://coe.sdsu.edu/edtec/) at San Diego State University, describes how he invented the WebQuest, why they're so useful for students and teachers, what a WebQuest is and isn't, and how to go about creating your own WebQuest. Take a tour of Thinkfinity! What's Thinkfinity.org? It's your go-to site for thousands of premium lesson plans, interactives, videos, a new Community site and Professional Development from education's experts. And yes, Thinkfinity.org covers all the core subject areas. tap the learning power of this growing collection of standards-based resources.